Carlsbad Army Navy AcademyEvery parent wants his or her child to Get Great Grades. Here are some of the ways our services will help your child reach their goals. Our Learning Action Plan© will provide your child with the opportunity to succeed. Our Learning Action Tools©are designed so students will EXCEL in current classes and develop the self-assurance needed for continued success. Download a list with our Current Schedules. An Individualized Learning Action Plan is developed for each student after evaluating learning styles and academic history, contacting their teacher(s), and interviewing the students and parents. Because we recognize that each student must be treated individually, there is no “one size fits all” model at Study Depot. Student’s grades will improve with specialized attention from skilled and compassionate tutors. Using our trademark Weekend Tutoring your child will finish assignments on time in a distraction free environment and still have the weekend for fun. Our Powerful Foundation of Learning Forums will teach your child the techniques of a master student and the lifelong skills every adult must have. Beginning with our Roadmap to College Forum, students and parents see their educational goals become a reality. Focus: Student success depends on continuity and ongoing feedback between all those involved in their education. 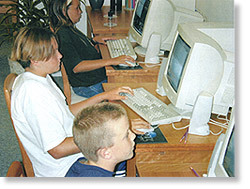 At Study Depot, each student has a very individualized approach; there is not a one size fits all model. © Copyright Study Depot – Tutoring for Excellence 2019. All rights reserved.